This coming weekend for the first time, GO Transit, Toronto’s regional transit agency, will be displaying one of their buses at the Canadian International Auto Show. They’ve also made a fantastically theatrical ad touting an amazing technology that’s even better than the self-driving car. Dramatic? Yes, but only fitting for a densely populated city where nearly 50 percent of commutes into downtown are made by transit, and where the mobility of everyone is dependent on not everybody travelling in individual cars, self-driving or not. I confess, I’ve sometimes been hard on Elon Musk. When he talks about how he’s going to change the facts of geometry, I point out that no technology has ever done that. And I’ve commented on other things he’s said that express cluelessness about how cities work. Musk is doing some great things, but he is also using his megaphone to advance the idea that our cities will be great if we can just drive faster through them. Most of his own home town, Los Angeles, was designed on that very principle, and look how that turned out. … which, at the moment, has over 17000 likes, 2500 retweets, and a diverse thread of responses, including a lot of cool urbanist and tech people defending me. It’s all very funny to me, and I hope it is to you. If all infographics were as wise as xkcd's, I'd be a fan of the genre. So why are so many infographics uninspiring? Xkcd has answered that question too! Readers know I often find it necessary to wade into "efficiency vs emotion" debates, usually to point out that there are emotions at stake in efficiency too. Yes, there were kitten lovers everywhere, including me, alarmed by the thought of two lost kittens on the tracks of the New York subway. There were also tens of thousands of stranded people missing their appointments and families and last-chance-to-see-dying-parents as two major subway lines were shut down to avoid hitting them. But you don't actually say that. And of course some obsessive philosopher-geek will want to probe each cat-lover's definition of cute-enough-to-shut-down-a-city. "What if they had been squirrels?" he'll ask. "Squirrels are adorable too, but they're rodents, so if squirrels are to be saved, why aren't we braking for all the rats that are down there anyway — mmph!" No, you gag the philosopher-geek for his own safety. Unless you are a certain Republican candidate for mayor, you don't actually say that you'd have kept the trains running even if it brought two lost kittens to an untimely end. If tempted, you see the angry mobs holding photos of kittens. You see radicals among them hurling dead kittens at you, each bearing a little certificate that it died of natural causes. You imagine that every internet cat pic, for the rest of your life, will be like an ad for your opponents. Social media have elevated the cat, and especially the cat picture, to a symbolic power not seen since Ancient Egypt. You don't mess with that. So yes, you efficiency-loving, reliability-loving urban technocrats! There are purring, furry, carnivorous limits, and I'm there with the cat-lovers, astride the deserted subway tracks, yelling stop! Isn't this a cute kitten? 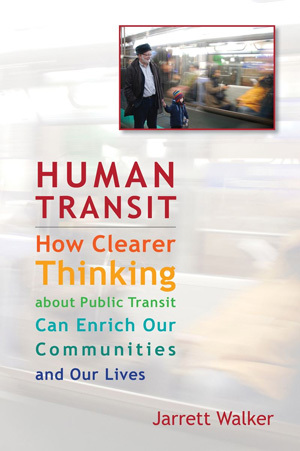 I read the blog post a transit manager on driverless cars on your blog https://www.humantransit.org/2013/01/a-transit-manager-on-driverless-cars-guest-post-by-ron-kilcoyne.html and loved reading it. I know you’re a busy person, so I’ll keep this brief. I wanted to reach out to see if you would allow me to do a guest post. My initial thought is writing about “Maintaining a Dependable Fleet of Forklifts”, but if you have a better idea, I’m open to it! Something like this arrives about once a day, but rarely does its ignorance of my content reach toward the sublime. May all this spambot’s forklifts be as dependable as her spam. Personally I've never gotten martinis. I'd rather people visualized a handmade ceramic mug of black coffee, or maybe chai. What in my writing style do I need to change to update this impression? In any case, if you need to visualize me with a martini, please go right ahead. Perhaps I'll do a very posed photo with one sometime. Evan Landman is the new fulltime associate at my firm, Jarrett Walker & Associates. He holds a BA in Human Geography from University of British Columbia and was formerly a planning intern for the Portland area regional government, Metro. He tweets on transit and other Portland topics at @evanlandman. On a recent weekend, I had the opportunity to participate in a transit scavenger hunt and race hosted by Portland Afoot, a low-car lifestyle citizen journalism outfit. Players traversed the city using TriMet to solve the mystery of "Who Whacked Ms. Faire LeSquare? ", a pun on the free fare zone that until September 2012 covered Portland's downtown core and a portion of its inner eastside. The crowd prior to the start of the race. The event kicked off at Velocult, a bike shop and bar in Portland's Hollywood neighborhoood, near to a transit center and light rail station. Around 60 teams of 3-5 players took part; by my estimate, something like 250 people came out to spend one of the nicest days of the year so far riding transit. At times, it felt like everyone in town who writes, blogs or tweets on transit or mobility had turned up to play. One group even had members who came down on the train from Seattle to participate! In addition to solving the murder mystery, each team could score points by visiting distant transit centers, using different modes to travel, riding multiple transit lines, spotting public art, or meeting TriMet employees. Amusingly, there were also points available for anyone who was able to get a photo of themselves being grilled by a fare inspector. The entire game was smoothly run through the clever use of unique Twitter hashtags to track everyone's progress. I found out about the game the day before, so I didn't have time to register a team, but some folks short a player were kind enough to let me tag along. We used light rail, a number of bus lines, the Portland Streetcar, our feet, and a dragonboat to visit destinations across the Metro area, from the eastern transit center at Parkrose to the far western suburb of Hillsboro. Portland Afoot stationed volunteer actors (including one member of the city council) at different points around town to continue the story, and to provide clues and directions. At the end of the day, the entire contingent met back at Velocult, where it was revealed that LeSquare had skipped town to Calgary (which has retained its downtown free fare zone). The organizers lined up several generous prize packages for the top three finishers, with freebies from Car2Go, Zipcar, and a long list of local retailers and restaurants. Best of all, one lucky finisher won a free one-year TriMet pass! In the spirit of play, Portland Afoot brought hundreds of people onto Portland's transit system for trips very different than the home-work commute. This sort of event serves as a wonderful tool to get people to use transit in an unfamiliar way, and shows that riding the bus or light rail can be both functional and fun. If I can use transit to have fun on a sunny Saturday, maybe I can start to imagine other new ways I could be using the system? If nothing else, this serves as a reminder that people in Portland, including young, politically engaged people, can still get excited about TriMet despite its recent cutbacks and continual pillorying in the media. JW postscript: I recall playing a similar game in around 1978, with a team including David Bragdon — later the elected CEO of Portland's regional government. Just imagine how much more fun Evan would have had without a phone, computer, or realtime information, on an infrequent, confusing transit network that only went downtown!